Leading Exporter of rubber diaphragms for automotive industry from New Delhi. 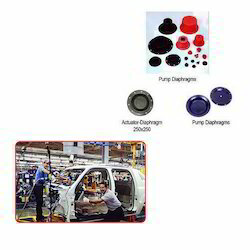 We are offering a wide range of Rubber Diaphragms for Automotive Industry. Our offered range is precision-designed in various sizes to fulfill the requirements of our prestigious clients. Looking for Rubber Diaphragms for Automotive Industry ?